I am a born skeptic. When I went to meet Garry, I was prepared to meet a person with mediocre knowledge and a homogenized program. Boy was I wrong! Right away I was impressed with Garry’s knowledge and his eagerness to share it. His passion is infectious! 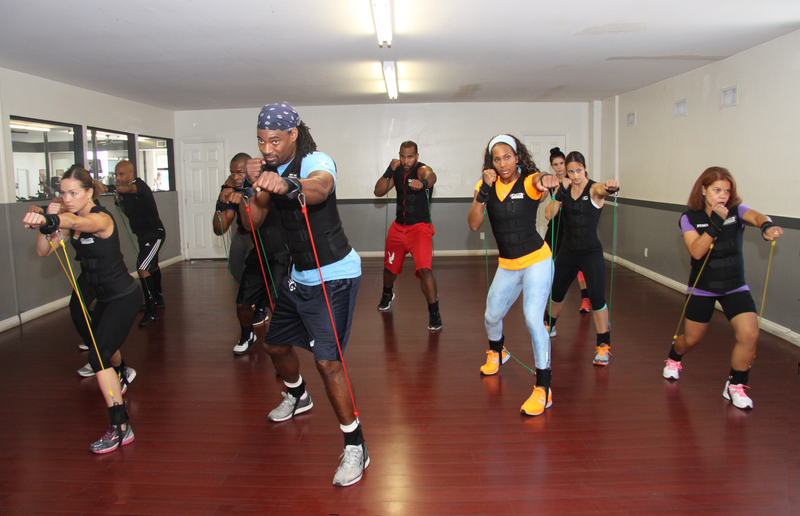 From the first workout I was impressed with all the different aspects he incorporated to create strength, muscle tone, flexibility, balance, and even increase brain and nerve function. He has a natural talent of combining exercises in a way where I felt I was constantly in motion but not overworked, and my brain was engaged so I was never bored or seeking for motivation to finish a workout. The tools Garry created are phenomenal! I LOVE the vest and I have been surprised at what a difference it makes in my workouts. I refuse to be without it. The innovation in his wrist and ankle cuffs is genius- I am able to move and adjust from any position and therefore able to add resistance to any exercise I want- even floor exercises and running! They are comfortable and easy to use and I’m not having to worry if I’m using it right or hurting myself- which means I can go all out in my workout. Q: How long have you been training with Garry? A: I started working with Garry two years ago. Q: How long ago were you diagnosed with transverse myelitis? A: I was struck by TM in July of 2005. 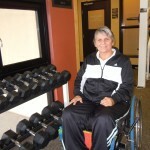 Q: Prior to being in a wheelchair, did you work out at the gym and/or participate in fitness activities? If yes, what were some of those? A: When able-bodied I participated in regular walk distance walking and working with a trainer off and on (once a week). I did a yoga routine every morning. I also played tennis since I was seven years old. Q: How long after the diagnosis, did you wait to start working out? A: From the beginning I did some exercising at home. 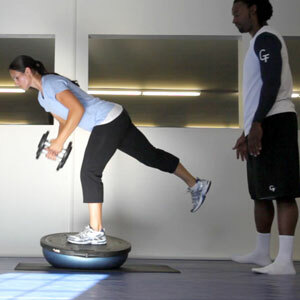 That included stretching, range of motion exercises and some light free weights. I had been in a chair for about a year when I started playing wheelchair tennis. I started working with Garry two years later. 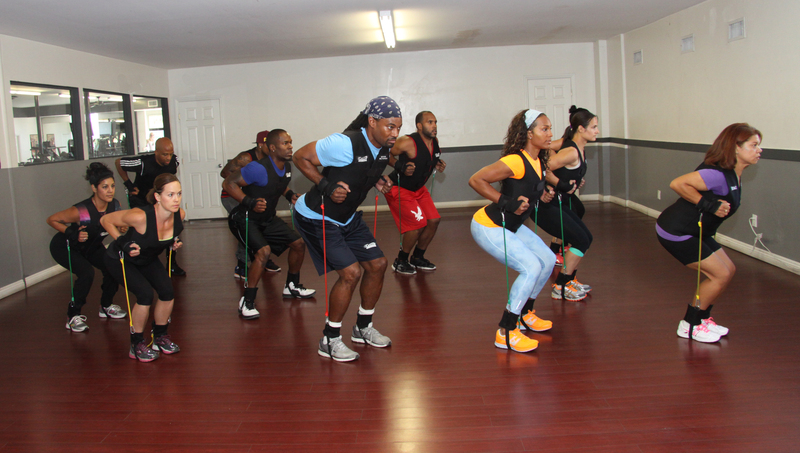 Q: What or who was the driving force behind your working out? A: A neighbor recommended Garry to me. She said that he could help me with upper body strength and overall wellness. Q: What would you say has been the hardest exercise thus far Garry has had you work on? A: Pull-ups are hard for me, but I enjoy the effort. A: I like the floor exercises best. Garry lifts me out of my chair and places me on a mat. He holds up my legs wheelbarrow style while I do pushups. A: I always work to keep good muscle tone, balance, and strength. I have no feeling or ability to move below the chest, and Garry helps me to maximize what I do have. We are also working to quicken my reaction time to help with my wheelchair tennis. Q: What other activities do you participate in other than strength training? A: I continue to do range of motion exercises at home and to use what is called a standing frame to help with circulation and to keep my bones strong. I continue to be active in wheelchair tennis and to participate in tournaments throughout the country. Garry helps me to prepare. He targets my workouts. Q: How often do you work out? A: Once or twice a week. Q: If you could give one piece of advice to those in a wheelchair, what would you tell them?